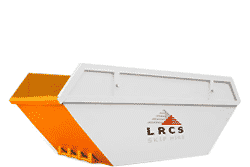 Skip Hire Lincoln - Book skips online or by phone today, deliver tomorrow. Houses, offices, gardens, sheds, garages etc. 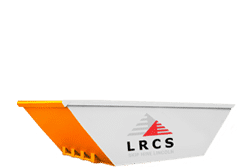 Skip Hire Lincoln | Call us on 01522 684776 We deliver skips six days a week, (subject to availability) and also offer a skip filling service. We are a local family run business providing professional skip hire and clearance services throughout Lincoln and surrounding villages. Order online or call our office where our friendly team will be happy to assist you with your order. 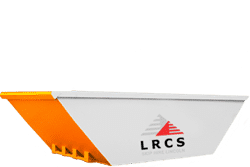 View our skip sizes below, along with useful information about how much and what can go into a skip, or go to our Sizes & Prices page by clicking on the tab above. We are registered waste carriers, fully licensed with the Environment Agency. Being totally committed to recycling and reducing landfill, all the waste we collect is taken to our own licensed Waste Management Facility where it is sorted by hand so that as much waste as possible can be recycled. We also specialise in Site Clearance, house and office clearances and general rubbish removal. If you have waste and unwanted items in areas where a skip is not suitable or needed, our Clearance Service is the best way to deal with your problem. Our staff will arrive by appointment to remove the waste for you, using our vans or lorries. We give a friendly, helpful approach to clearing out waste. Whatever your requirements, we will try to accommodate your needs. Our staff are always helpful and ready to offer practical advice. Whatever you need to clear, we are here to help you in any way we can. Just give us a call and we will be happy to advise. To download our App, click on the Google Play badge at the bottom of this page. Upon ordering a skip, you agree to the terms and conditions. This is a requirement of hire. See our Terms and Conditions. You are responsible for controlling all waste that is placed within the skip until the skip is collected. Due to Environmental regulations, certain waste types are required to be kept segregated to avoid contamination with other waste (e.g. ceramics and plasterboard) . We will provide tonne sacks within the skips where needed or requested to help you with segregation, so that as much of your waste as possible can be recycled. This will help keep your waste disposal costs to a minimum, whilst also helping the environment. Under no circumstances can you put (or allow others to put) hazardous waste into the skip. No Glass – We are unable to accept glass of any sort including glass within window frames or doors. No Food waste. No Soiled nappies, incontinence pads or any materials contaminated with human faeces. No Animal carcasses, animal faeces or any contaminated materials e.g contents of pet litter trays or pet bedding (e.g in hutches). No Liquids whatsoever. No Grease or oil of any kind, whether contained or not. No Paint tins, cans, drums or other containers that have been used to carry liquids oil or grease of any kind, unless empty, containing no liquid whatsoever and dry with lids off. No Chemicals, pesticides or insecticides e.g. from garden or cleaning products. No Televisions or Computer monitors. No Light bulbs or Fluorescent tubes. No Refrigerators or freezers. No Batteries. No Rubber tyres or any other rubber. No Gas canisters. No Asbestos in any form or type. No Liquid cement/concrete. No Toxic or corrosive materials, or solvents. No Clinical/Medical waste of any kind. No Plasterboard backed with foil or polystyrene. No fire ash. Also, we do not accept Astro-turf or Clay. Any unauthorised waste listed above which is found in the skip once it has been collected will be returned to your address and you will be charged the additional costs of handling the waste along with the added transportation costs of returning the items. In the event that we are unable to return these items, you will be charged the full costs of handling, treatment and transportation necessary to achieve final disposal within current legislation. Please view Terms & Conditions for further information. 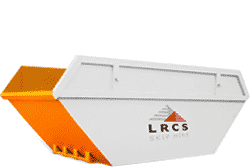 SKIPS MUST BE LEVEL-FILLED ONLY (level with the top of the sides of the skip). You will be charged for any overfill in addition to the skip hire cost. THE HIRE PERIOD IS 10 DAYS. You must call us to off hire the skip within that period to avoid additional hire charges. If you fail to do so, you will be charged a daily rate of £10.00 + VAT, from the end of the hire period, to the date you call us to off-hire the skip. If you need a skip for a longer period, we are flexible, so please call us. MATTRESSES MUST BE PLACED ON TOP OF THE SKIP ONCE IT IS LEVEL FILLED. You will be charged a processing fee in addition to the cost of skip hire to prevent them going into landfill. Please check with the Office for current prices. ROOFING FELT. If you have roofing felt to dispose of, you must discuss this with us when ordering your skip. 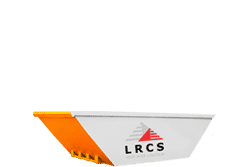 If you have a large amount to dispose of, you will be charged an additional fee for its disposal in addition to the cost of skip hire, depending on weight. PLASTERBOARD (Plain backed). If you have plasterboard to dispose of you must discuss this with us when ordering your skip. Due to environmental regulations plasterboard is not allowed in landfill and must be kept segregated from all other waste to avoid contamination and to enable it to be processed for recycling. You will be charged a plasterboard processing fee for its disposal in addition to the cost of skip hire. Please check with the office for current rates. We will provide tonne sacks within the skip for this purpose. If you have a large amount of plasterboard to dispose of, a separate skip may be required. Please discuss this with us when hiring your skip. Note You will be charged an additional disposal fee on top of the plasterboard processing fee if plasterboard is not segregated, found to be contaminated, or backed with foil or polystyrene. CERAMICS (e.g tiles, sinks/toilets). If you have ceramics to dispose of you must discuss this with us when hiring your skip. Ceramics must also be kept segregated to avoid contamination from other waste in order to enable recycling. Tonne sacks will again be provided within the skip for this purpose. Note You will be charged an additional disposal fee if ceramics are not segregated or found to be contaminated. If a skip is not suitable for the area where the waste is to be collected, please use our Clearance Service.